The thing about bird watching is that you never really know what is going to happen. It is very humbling in that just when you think you have grasped a situation, you realize that you are in fact too dull of spirit to understand what is really going on. In this way it is a very good lesson in life – never assume that you have understood what is really happening around you. 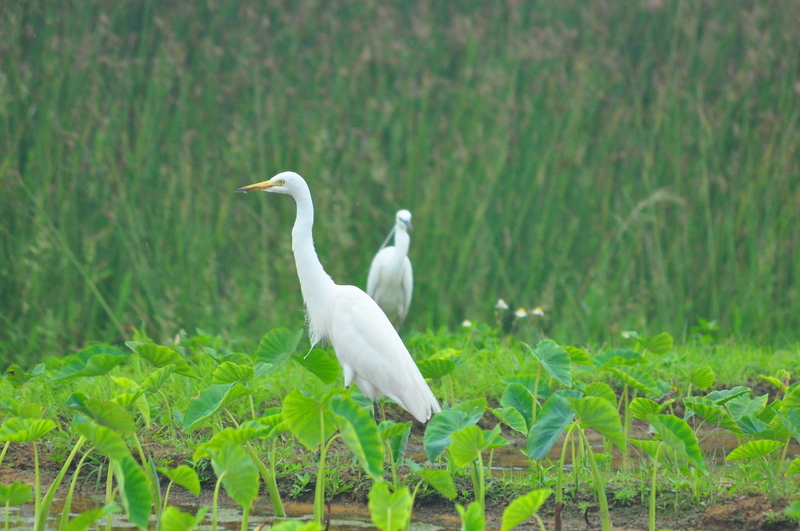 I drove around for a while and saw lots of egrets, which are as common as ditch water around these parts. I whine to myself on the leitmotif of “Fings ain’t wot they used to be.” I used to see amazing birds here but now it’s just egrets. How wrong can you be. I spot a Moorhen swimming towards a clump of grass in a flooded field. 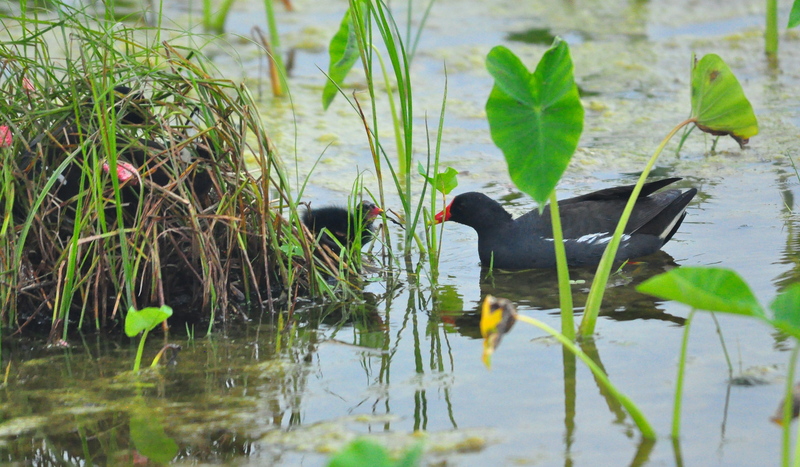 Suddenly two moorhen chicks scuttle out from said clump and swim out to meet their Daddy. Have you done your homework? You can see the Mum sitting on the other chicks on the left. Click on this photo. I then spy a bird sitting on a post. I get closer and closer. It does not fly off. In fact I get really close and I think it does not fly off because it is totally knackered. 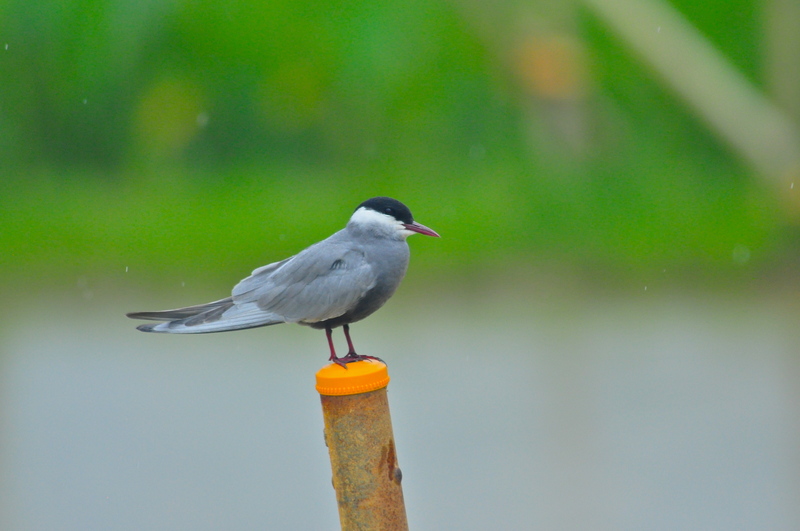 It is rare Whiskered Tern that must have been blown here by the inclement rainy season weather. Er so the message is that any definition of reality is wrong. There is always something more complex going on but we are usually to slow or arrogant to realize it. This entry was posted in Uncategorized and tagged fate, Josie McDermott, Paddy Fields, tern. Bookmark the permalink. 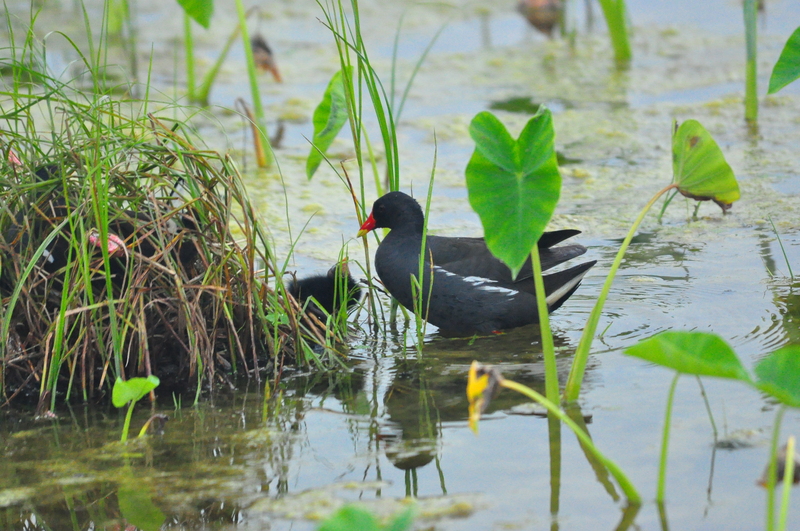 Surely it is Daddy Moorhen, who lies burping on the bank, whilst Mummy works in the field, this is nature’s way.